Valentine’s Day is here and for many, it is a day to treasure each other while for others it is more of a commercial hype. In any case, it is a day that many celebrate each in their own way. 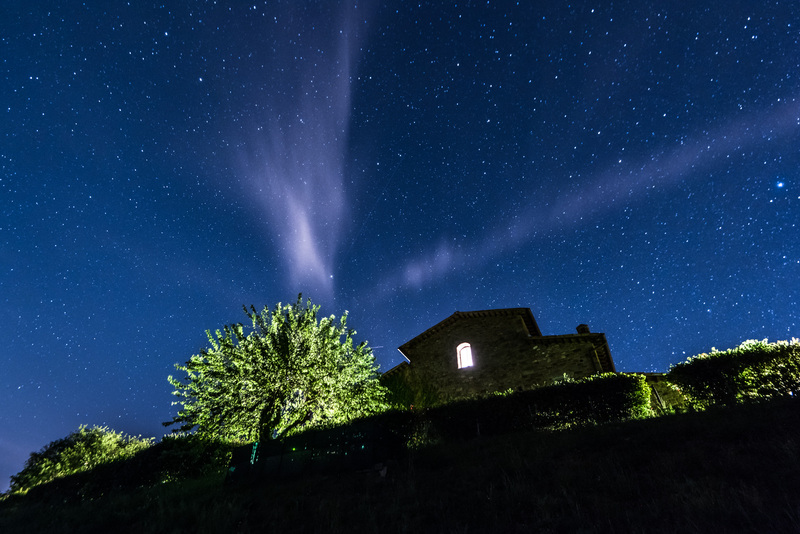 We wanted to take a closer look at Valentines Day’s historical origin and to highlight two of the wines we produce at Fattoria di Montemaggio in Radda in Chianti that we think are perfect for a romantic evening. It all seems to begin BC with Christian martyrs and saints. There were apparently different martyrs with the name of Valentine who then became saints. In different Christian religious bodies they celebrate St. Valentine’s Day on February 14 to commemorate the sanctification of these martyrs. There is then an interesting and dramatic legend told about Saint Valentine of Rome that is said to have been executed because he refused to convert to Roman paganism as requested by the Roman Emperor Claudius II. Instead, he is supposed to have tried to convert Emperor Claudius II to Christianity. So, off Valentine was sent to his execution. The legend has another couple of twists added to it. On the one hand, it is claimed that Valentine wrote the first ever Valentine card on the night before his execution to the daughter of his jail guard. This daughter had been healed from her blindness. The card is supposed to have been signed with “From your Valentine” that in modern times became the catchphrase in Valentine letters. On the other hand, it is stressed that Valentine secretly officiated weddings for Roman soldiers so they could get married before going off to war. Moving forward in history, Geoffrey Chaucer is considered to be the first poet who wrote about Valentine’s Day in connection with romantic love. Also, William Shakespeare, among others, talked about Valentine’s Day in his play Hamlet. In the 19th century, it became more and more common to send Valentine’s cards in England and in the US lace decorated paper started being mass produced for Valentine’s Day in the mid-19th century. Today, paper cards have become more and more replaced by e-Valentine cards. The celebration of Valentine’s Day is here to stay both as a romantic gesture as well as the more commercial side of the day. 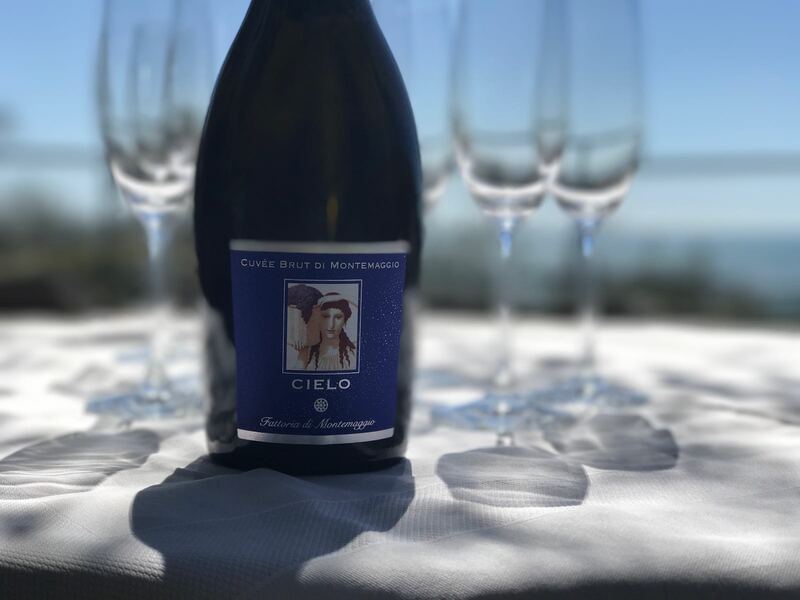 We think that our Cielo di Montemaggio and Rosé di Montemaggio that are produced in Radda in Chianti are made for romance with your Valentine. Express your feelings with a lovely Sangiovese rosé wine or a bubbly Chardonnay made with the Charmat method. This wine is our latest arrival. It is a 100% Chardonnay sparkling wine made with the Charmat method. It is a smooth bubbly wine with floral notes and a persistent perlage. Perfect to surprise your loved one with on a hopefully star-filled Valentine’s night. Add sparkle to your romance with this wine that pairs well both for an aperitivo and for dinner. This 100% Sangiovese wine with a beautiful rose colour speaks the language of romance. The grapes are harvested prematurely in order to get a fresh wine with higher acidity. This does not make it sour though but rather enhances the lovely fruity bouquet. A wine not only for an aperitivo on summer evenings but also to share with your very own Valentine person in a moment of romance. 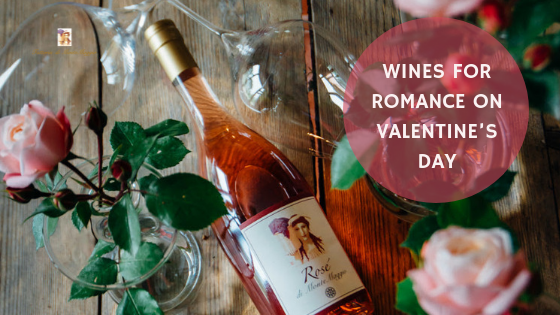 We wish you a very romantic Valentine’s Day and hope you can celebrate with a glass of wine from us at Fattoria di Montemaggio in Radda in Chianti.